Attention please:IDoy is a registered trademark, and is exclusively distributed by IDoy. IDoy trademark is protected by Trademark Law. All rights reserved. Unexpected good quality. You can get a surprise as a gift for yourself. Beautiful design and packaging to ensure that satisfy you. 50mm/1.97'' Diameter. 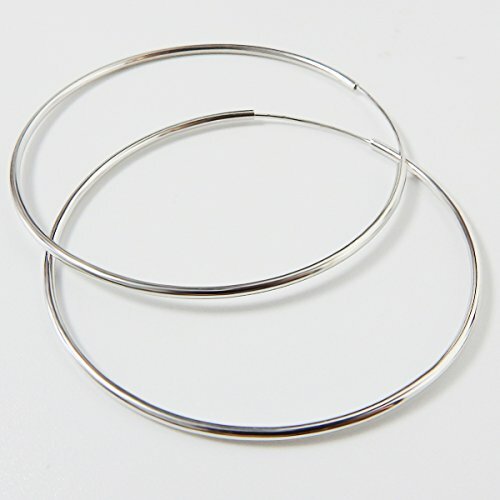 Stamp S925 Real Sterling Silver Hoop Earrings. 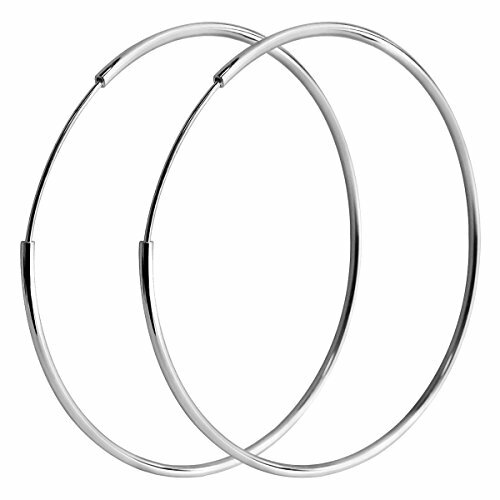 The big hoop earrings is great as a gift for your friend or mother or sister or other family members. Use the method - Pull gently from opposite side and open it. Don't use excessive force to prevent deformation. The package come with rub silver cloth, the surface dirty can gently wipe. 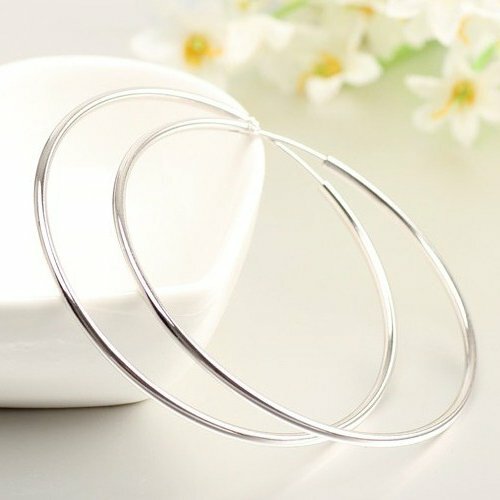 Sterling silver earrings easily deformed, do not excessive force. High Quality And After-Sale Guarantee,Please Feel Free To Contact Me. If you have any questions about this product by IDoy, contact us by completing and submitting the form below. If you are looking for a specif part number, please include it with your message.